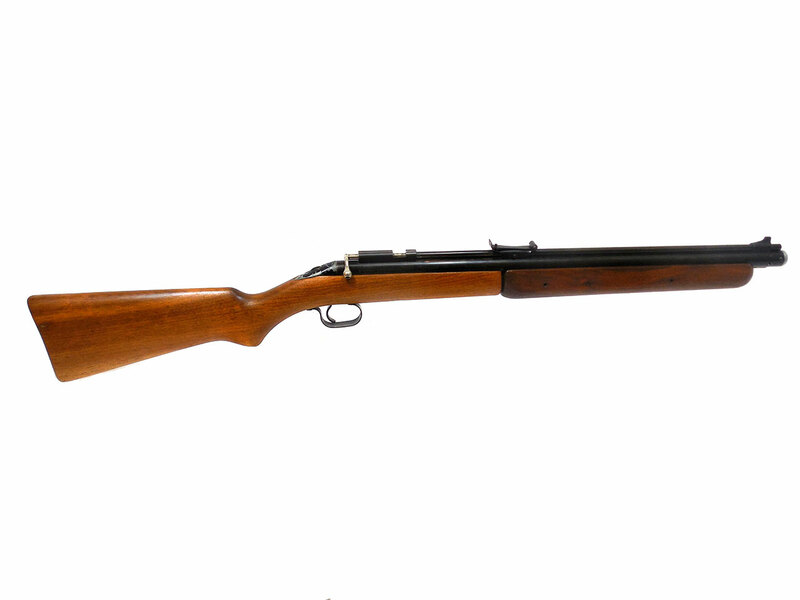 The Sheridan Blue Streak is one of the most successful and accurate pump airguns ever made. The fine metal work and beautiful walnut stocks have made this a favorite since 1948. 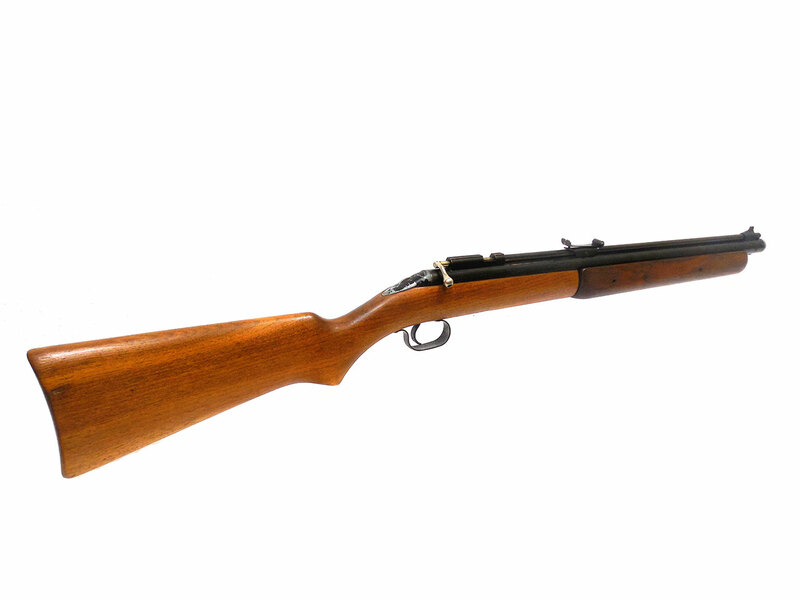 .20 caliber, bolt action with straight pinned bolt, and walnut stock. This one is in really nice condition. 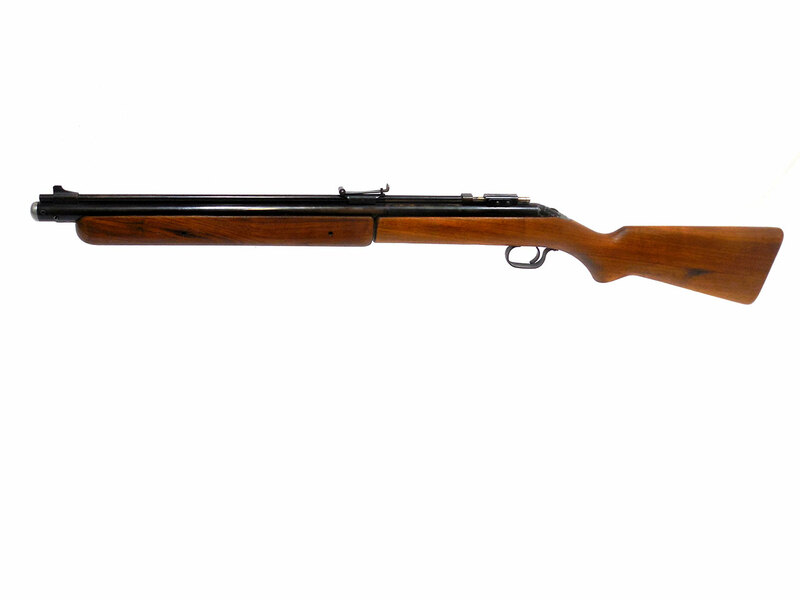 It was manufactured around 1961, which we can tell by the centrally positioned safety, straight pinned bolt handle, smooth front sight, and rear sight with 2 retention screws. 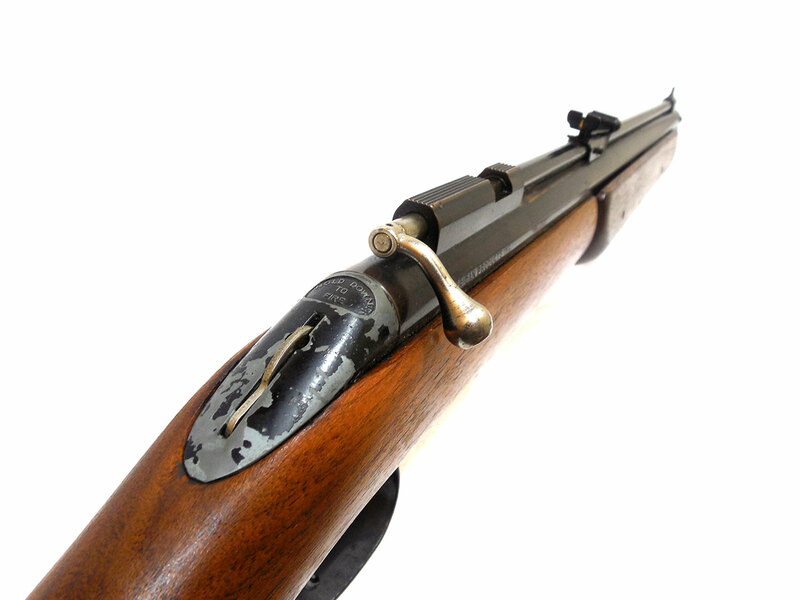 The metal on this gun retains about 88% of the original finish with a bit of brass coming through. The wood stock and forearm are in very good condition, but the forearm may have been replaced. It’s a little darker than the stock. The stock does have a small indentation on the right had side. We tested the velocity using lead pellets, and it’s shooting around 607 fps. This is an very nice vintage airgun in great condition.